Oprah Winfrey tells the story about her grandmother telling her that perhaps someday, if she was lucky and things went well, she might be able to work for a nice white woman. Oprah says, I wish my grandmother knew that now I have a whole lot of nice white women working for me! This is a great read. Pure and simple. A powerful story, well told, easy to read, and makes you think. A good book always leaves you with at least one niggling question and here is the one I was left with after reading this one. Can we ever explain away how we behave or what we believe in, based on the time we lived in? Set in the south during the civil rights movement, three women share their struggles and stories in a way that is unsettling and endearing. The characters of Aibileen, Minny, and Skeeter will stay with you for a long time. Though highly entertaining, this is at its very essence not a happy story. Race relations during this era when white families had black help were troublesome and the tensions were real, but if we are honest, are these issues really in the past? When small steps occur to overcome hate and fear in our world, we should rejoice and applaud authors who take on challenging topics in such a readable fashion. 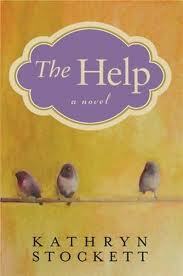 This entry was posted in Fiction, Five Star and tagged Kathryn Stockett, The Help. Bookmark the permalink. I totally agree! This book is a great read and I enjoyed it. I loved this book too! One you want to buy and lend to all your friends. Thanks for your contribution to your virtual book club Joanne! Can we explain away the way we behave or what we believe in, based on the time we live in? Whew what a discussion! In the final analysis, we do it all the time however with Gods grace we can at times transcend our cultural boundaries, our petty personalities and our religious restrictions. Amen sister! Oh, how I wish I could have been there with you all! Aside from the heavy questions, did you all like the book? Our book club read it last Fall and we thought it was a wonderful read. 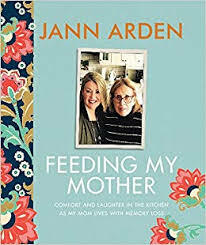 We too had a great discussion and came to the same conclusion as Janet wrote … by God’s grace we can at times transcend our cultural boundaries, petty personalities, and religious restrictions. Re the Book List Challenge – There are some great titles on this list! Even by virtue of my age and being a reader all my life I only come to 43 books. I’ll just keep reading! Just finished Olive Kitteridge by Elizabeth Strout and just started The Thousand Autumns of Jacob De Zoet.